Unless you're gunning to be a medical marvel, participating in a pepper-eating competition is a bad idea. Daredevils who enjoy torturing their mouths with spicy chili peppers can expect a number of unpleasant symptoms: burning mouth, running nose, teary eyes, coughing, stomach pain, even vomiting. If that, for some reason, doesn’t dissuade you from taking a dumb bet to eat a super spicy pepper? Consider another risk: waves of excruciating, brain-crushing headaches. At least, that’s what happened to one foolhardy young man after he consumed a Carolina Reaper, one of the world’s hottest chili peppers, in (of course) a contest. (For reference, a jalapeño pepper has a spiciness level of 5,000 Scolville units; a Reaper has 1.569 million.) 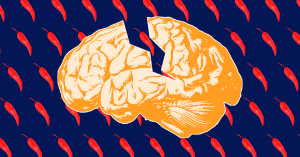 The pepper-eater’s unusual symptoms landed him in the pages of BMJ Case Reports as the first case of “thunderclap headaches” from eating chilies. The anonymous patient, a 34-year-old New York man, sought emergency care after developing severe neck pain alongside strong headaches that lasted just a few seconds each. Brain scans showed that several arteries had constricted in the patient’s brain, a condition often associated with bad reactions to prescription medicine or illegal drugs. After ruling our various neurological issues, doctors deduced that the condition likely had a peppery perpetrator. Thanks to a chemical called capsaicin, cayenne pepper (the Reaper’s relatively mild cousin) has been shown in limited cases to narrow coronary arteries and even cause heart attacks, though this was the first time doctors have seen narrowed arteries in the brain that were spice-induced. Eating the spiciest of the spicy is more popular than ever, in part thanks to videos of YouTubers eating chilis. So it makes sense that researchers are learning more about what happens to us when we do. Though nearly every cuisine in the world has incorporated spicy peppers in some form, they’re not traditionally eaten whole and uncooked; that’s a phenomena that seems to be associated solely with modern-day pyro-gourmaniacs (yes: that is, indeed, the word for spicy pepper eaters). In a previous case, doctors in California discovered that a man had developed a one-inch hole in his esophagus after eating a ghost pepper, said to be the world’s second-most spicy pepper, in a contest (noticing a trend here?). The condition nearly killed him. The BMJ case study patient was more fortunate. His symptoms cleared up on their own, and within five weeks his brain appeared normal. As to whether he will remain in the ranks of “benign masochists” that regularly enjoy the sweet, sweet burn of spicy food, we may never know. Scientists suspect that spice-lovers’ ability to enjoy the apparently negative sensations chilies cause is something like our enjoyment of the fear that comes with sky diving or roller coasters. But we wouldn’t blame this fella if he gave the Tabasco a brief break. And maybe stop taking on pepper-eating competitions that might put him at risk of further health hazards. Editor’s note (4/19/18 1:20 PM ET): This article previously stated that the Carolina Reaper is the world’s hottest chili pepper. That title has been contested by another pepper, called PepperX, which reportedly clocks in at 3.8 million Scoville units — more than double the California Reaper. 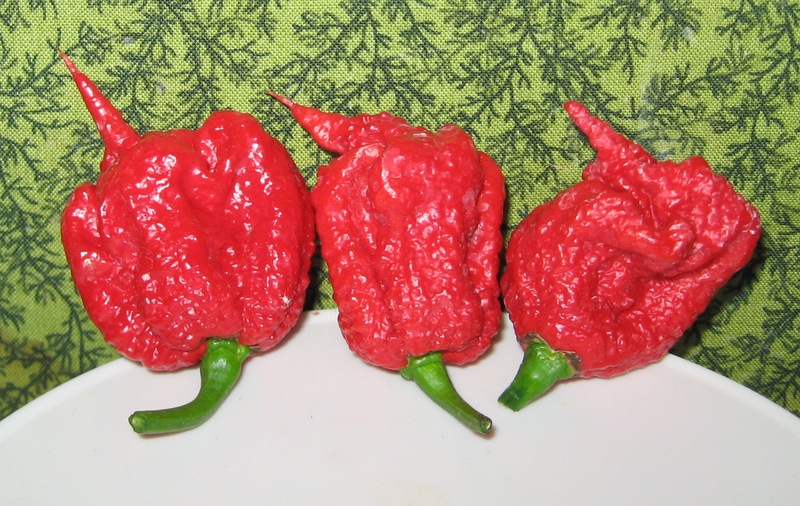 We updated the article to state that the Carolina Reaper is one of the world’s spiciest peppers. We regret the error.